Voltage across emitter and collector of QA is 0.7V. 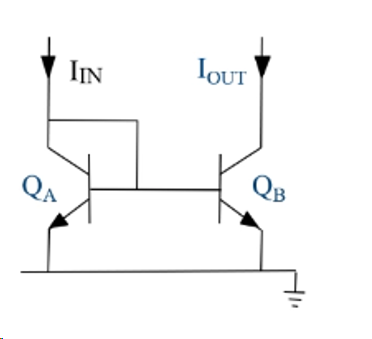 In a current mirror, why is it such that when the voltage across the collector and emitter is different for Qb than QA the value of Iout increases whilst Iin is constant? Browse other questions tagged transistors bjt or ask your own question. Why is the Collector current of a BJT transistor independent of the Collector Base voltage? Current in CE and CB configurations of a transistor when output voltage is increased? Does a transistor work by connecting the collector to emitter? If so, why do transistor regulators work? Necessity of a current mirror circuit - MOSFET/BJT?